Why Create a Fixed Strategy? Why Create an Adaptable Strategy? While being adaptive is often associated with higher school autonomy, providing clear guidelines and fixed, predictable outcomes for the actions schools take can reduce anxiety and confusion about how to proceed. This may create more, rather than less, engagement from teachers and school leaders. Fixed strategies may be associated with higher efficiency (because they can lead to more consistent and predictable actions), but running small, low-cost experiments in the tradition of lean startup may be a more efficient way to explore multiple strategies at once, leading to better informed, higher value implementation at scale. Strategy is not simply a list of activities. It is a hypothesis for how to achieve your goals. The more fixed your implementation strategy is, the easier it is to communicate through your system, enabling others to predict what might be coming next and make their own choices, knowing they will be aligned with central leadership. Yet strategy is also just a guess about what will work. If your implementation plan cannot adapt as you learn, the district/CMO could face painful mismatches between central office predictions and on-the-ground experience as well as miss crucial opportunities to engage with the voices and viewpoints of others in the community. Setting a strategy is all about creating the clarity and transparency for yourself and others to make aligned choices. If you cannot communicate both the vision for the transformation you are working to accomplish and the plan for how to get there, others will be unlikely to buy into it and, more importantly, will not be able to make their own choices that support it. Creating a clear multi-year plan provides school leaders the stability to set their own agendas. Teachers will also have more of an incentive to engage with a change effort if there is both clarity about what engaging means and also a well-articulated logic for how it will produce the desired outcomes for students. Finally, committing to following through on a strategic path over a set period of time may make it easier to raise funds and to communicate value to community members and your board. It is only when beginning to implement an initiative that our predictions about what will work (and how) are genuinely tested. 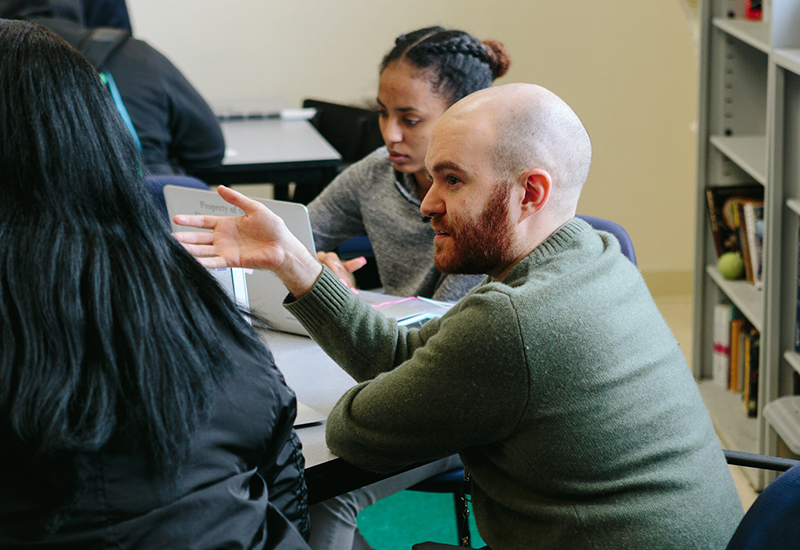 By building in feedback loops and reflection points from the beginning, district/CMO leaders can connect more quickly to what is working (and what is not) and glean ideas from teachers, school leaders, and community members. This approach enables scale efforts to reflect lessons learned through experience. It amplifies the voices of students, teachers, and school leaders, because their feedback is integrated in a meaningful way. Adapting with experience may also be a better use of funds because it is less expensive to engage in small prototypes than to invest from the beginning in infrastructure and resources that may or may not be effective. only 22% of respondents reported it as a “top priority”. How can your district/system create short learning cycles that provide high levels of feedback from the classroom to the central office? What do you, as the leaders of blended and personalized learning, need to know about what is working (and not) in your classrooms? How do you collect, track, and reflect on this data? What is a Minimum Viable Product in the context of blended learning implementation in your system? Is it a whole-school strategy? A new professional development opportunity for teachers? A test of one new way to collect and use student data? What are some fixed commitments or guidelines you could set that might spur, rather than diminish, innovation?